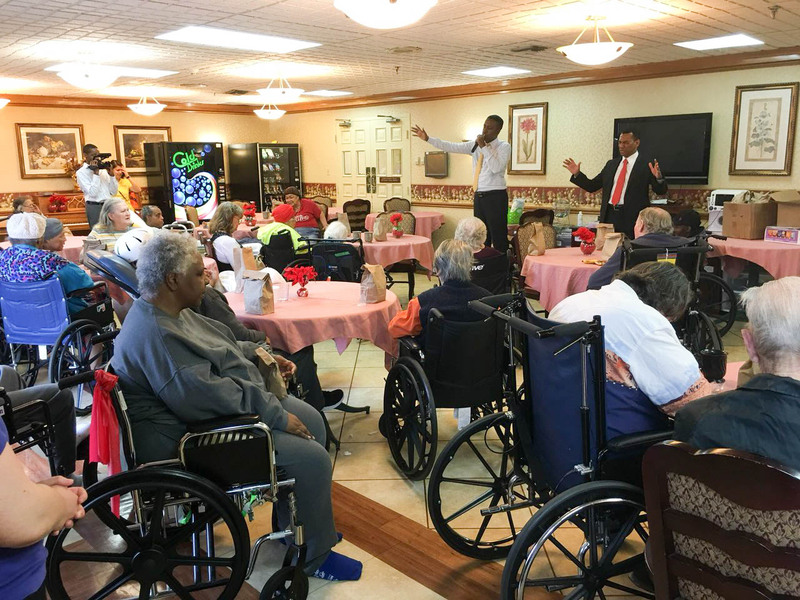 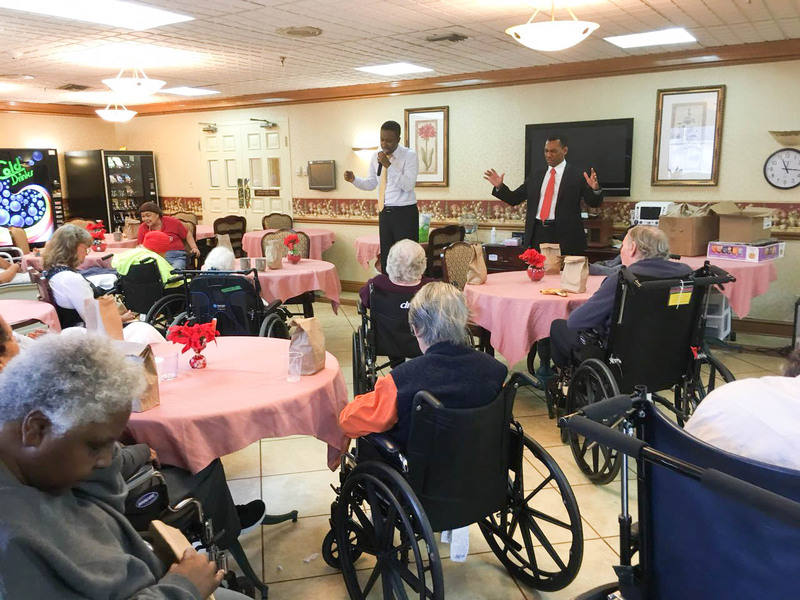 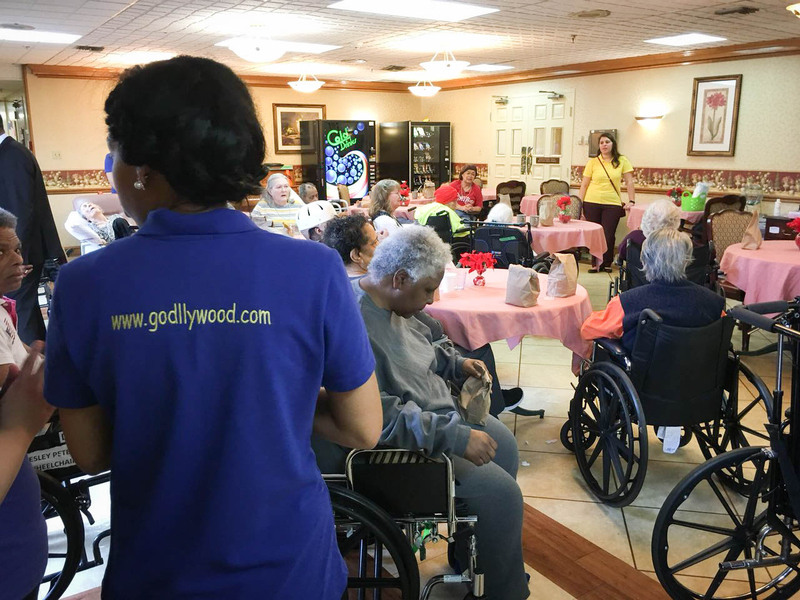 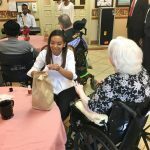 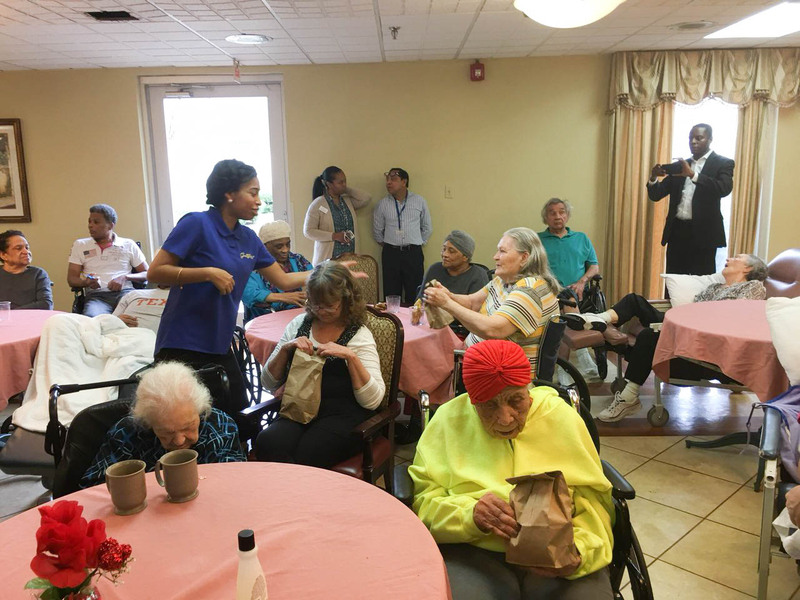 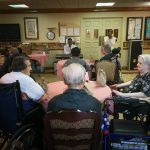 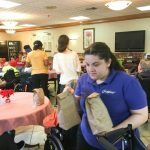 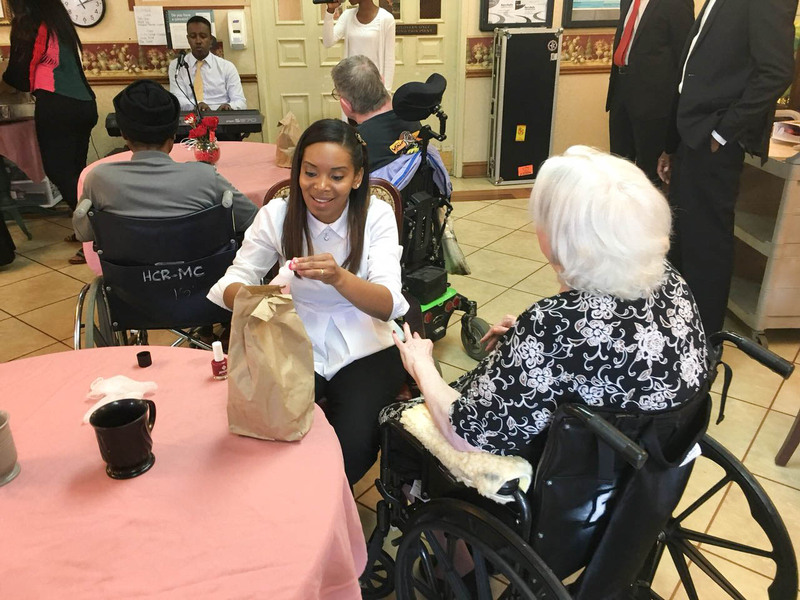 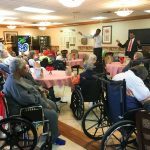 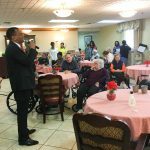 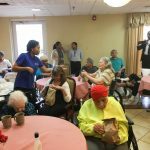 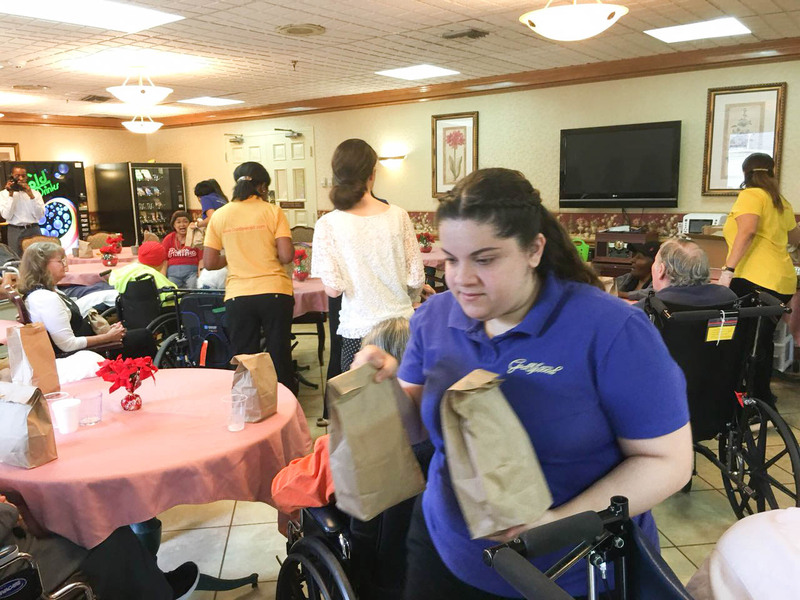 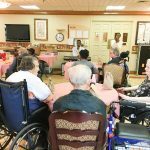 The UniSocial group has been providing spiritual and social support to those who are in nursing homes while promoting weekly activities and gatherings. 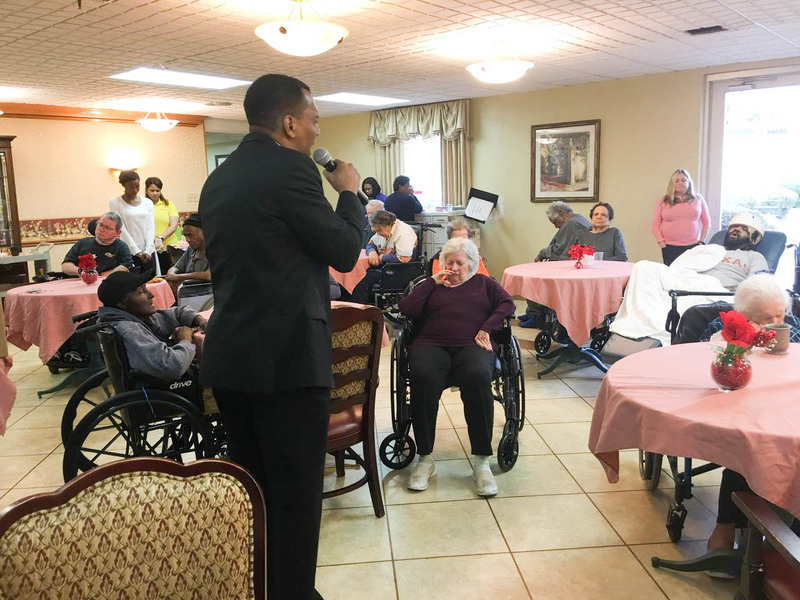 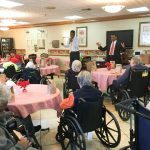 The nursing home community outreach takes place at every Universal Church branch around the U.S. 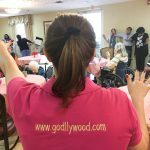 Various activities are organized for the residents, in order to provide entertainment, company and most importantly to share a word of faith. 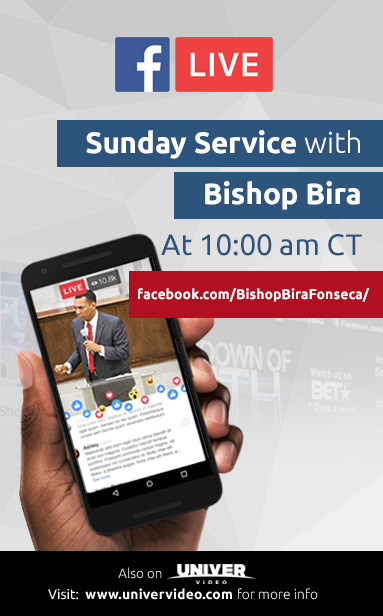 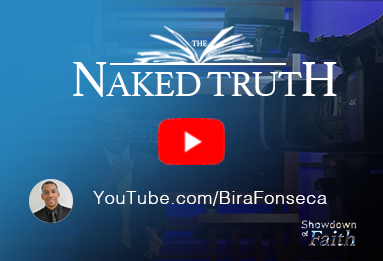 Bishop Bira host of the ‘Showdown of Faith’, was present for this special purpose at our Houston location. 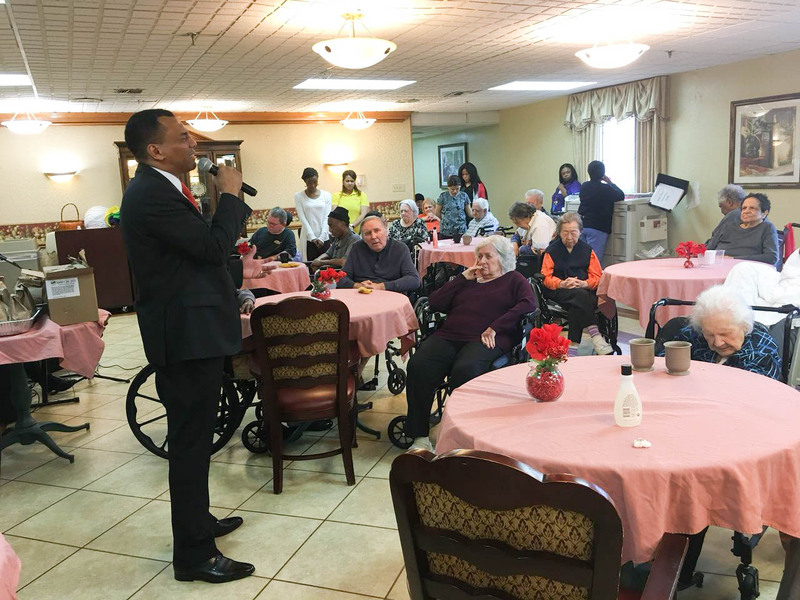 He made a special prayer for all the residents in the nursing home. 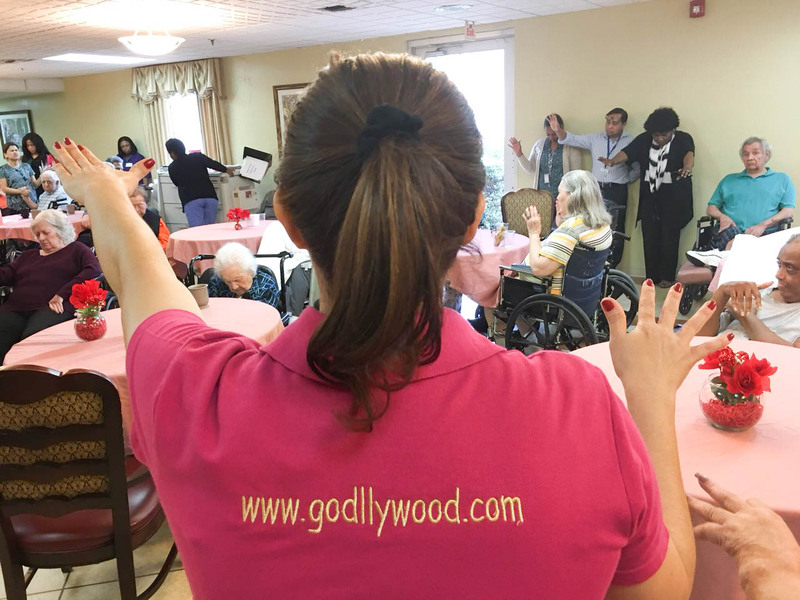 Volunteers from The Universal Church such as YPG and Godllywood members also took part by assisting and providing manicures for the ladies. 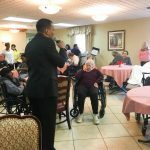 The groups shared their talents whether it was singing or just dancing for fun! 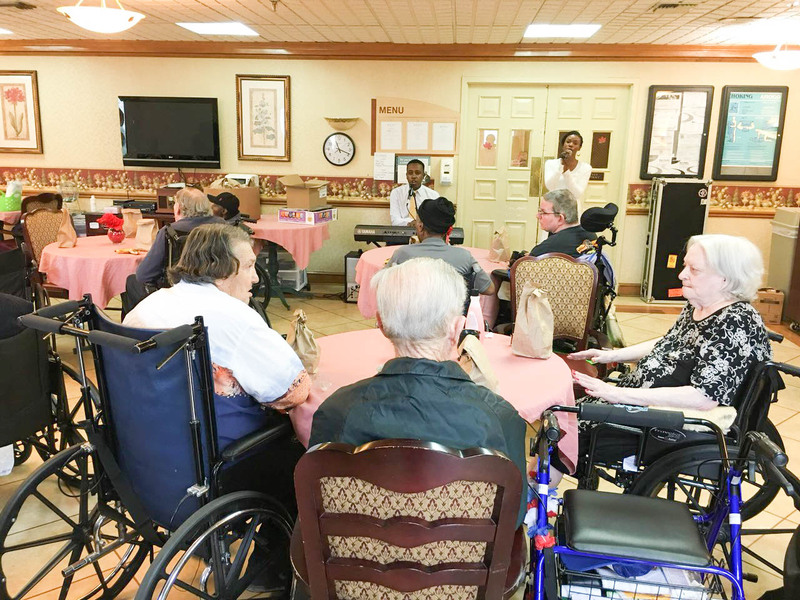 Some residents in the nursing home community may experience loneliness that can develop into other health problems, especially if there is no communication with their family members. 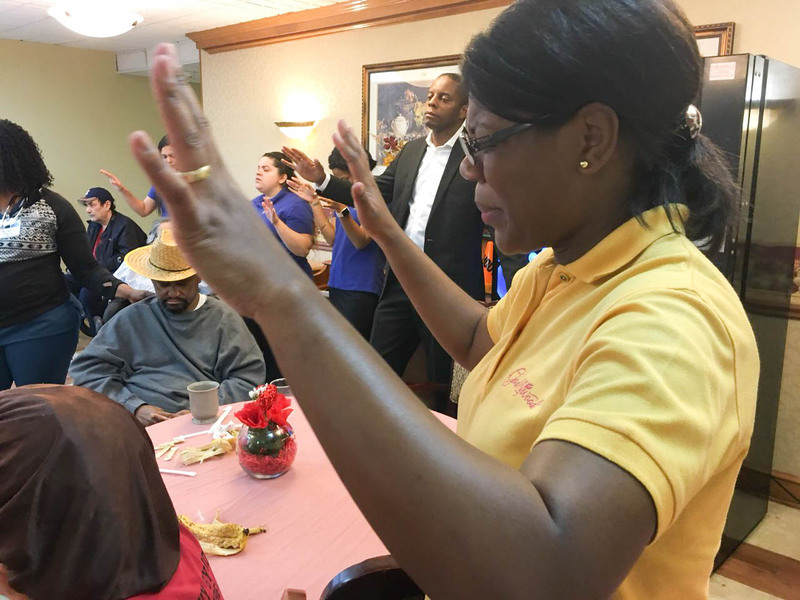 This is why a word of faith and your involvement can make a difference in their spiritual life. 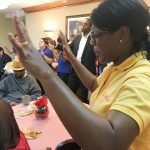 If you would like to be part of the UniSocial Group and reach out to your community, visit The Universal Chuch nearest you. 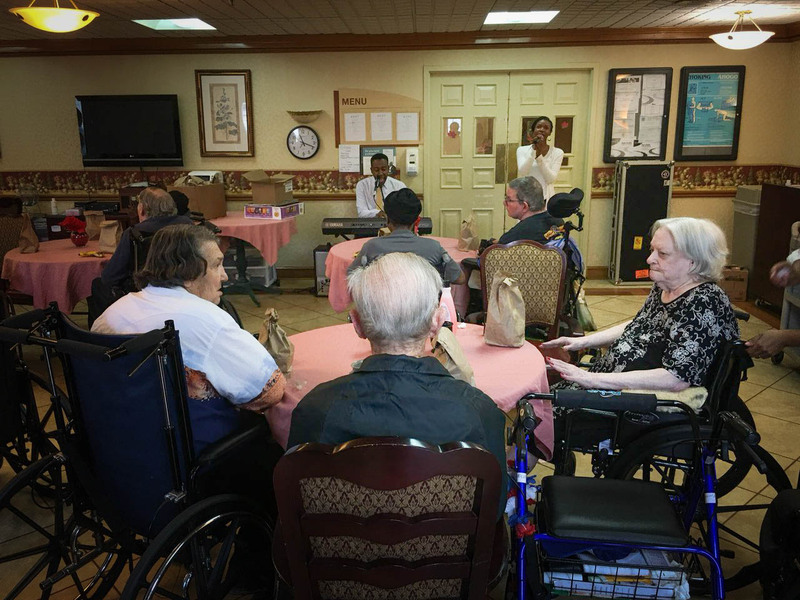 * Weekly nursing home visits may vary depending on your local branch.